Monopoly is one of the most loved board games, so why not engage local board game enthusiasts to raise some funds for a good cause. 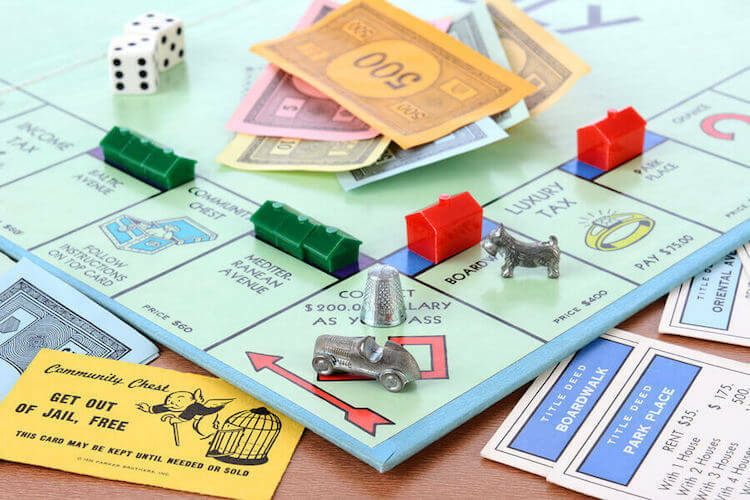 A Monopoly tournament can be easily turned into an exciting event to benefit a local charity or individual project. All you need to get started is knowledge of the game and a plan to engage local businesses and residents to join in the fun and support your cause. Fill out this form on their website. Once you have started the registration process, you will want to set a fundraising goal. Set a realistic goal and one that you can justify to donors- meaning that you can show that you have a plan for the donations raised from the event. Setting a fundraising goal will help you to determine the ideal number of players and having a plan in place for the funds raised will make business sponsors more inclined to give their support. Hosting a Monopoly tournament takes careful planning. You will need a space to host the event, tables and chairs, the actual Monopoly games, food and beverages for the participants, and staff to help with the event. Since the tournament is for a charitable cause, many of these things can be donated. You may find space at a local community center or gym, a local restaurant willing to donate some food and beverages for the event, and volunteers to facilitate the evening. All of this does take time though, so you will want to begin planning early for the logistics for the event. Business sponsors are an important part of a Monopoly tournament and will play a key role in helping you reach your fundraising goal. When approaching businesses, be clear about how their support will contribute to your cause and outline the benefits to them: visibility of their business, and acknowledgement as a sponsor which is good for their company image. You can present businesses with various sponsorship options, including sponsoring one of the 28 properties which will be displayed via a custom Monopoly board during the event, or sponsoring a table. You can also give businesses the opportunity to bring marketing materials to put on display at a booth or table. Businesses don’t always have to make a monetary contribution, they may be able to donate a prize for the winner, food and drink for the participants, or a space to host your tournament. You can’t have a Monopoly tournament without the players! Once you determine how many players will make up the tournament, it is time to really start advertising your event to get those seats filled. Engage your past donors- you will want to give people who have supported your cause in the past with the first chance for a seat at the table. Send out a newsletter or reach out to people individually sharing news of your event and how they can register. Reach out local media: Local media is a great way to advertise an event like a Monopoly tournament. Create a short advertisement letting people know about the tournament, the cause that it supports, how to register, and what registration costs and includes. Make flyers for community boards: There are often active community boards where events like local fundraisers are advertised. Leverage social media: Social media is a great tool to get the word out about your fundraising event. An uninterrupted Monopoly game can go on and one; obviously at a scheduled event, this is something you will want to avoid. Since you will have a limited time during your event, you will want to set tournament rules to make sure the event goes smoothly and runs on time. You will want to clearly explain the rules to all participants before the tournament begins and set a strict time limit for the rounds, especially if you’re doing more than one. There are several ways to determine the winners – you can do a winner by table and overall winner (the person with the most assets), or you can do another round where each table winner competes for the championship title. Follow these steps and you’ll be well on your way to hosting your very own successful Monopoly tournament fundraiser! If you are looking for other ideas check out our board game fundraising ideas.